Pavilion #6 is located on the south side of the lake and across from the Petting Zoo. 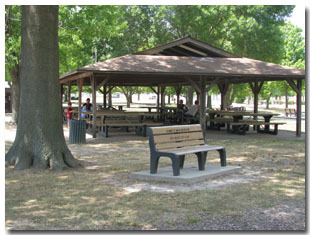 The pavilion is located between the restrooms and a playground. It has 11 tables, electric, lights and a grill. Rental agreement form and prices.